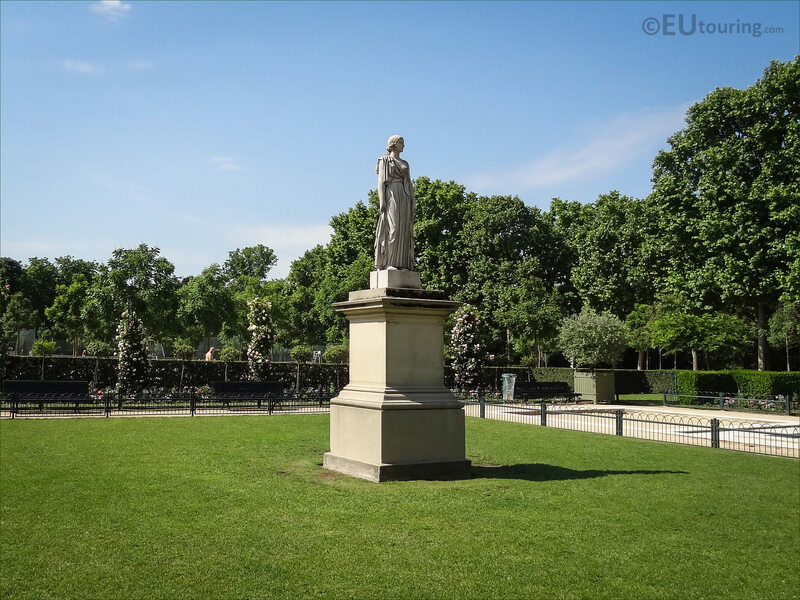 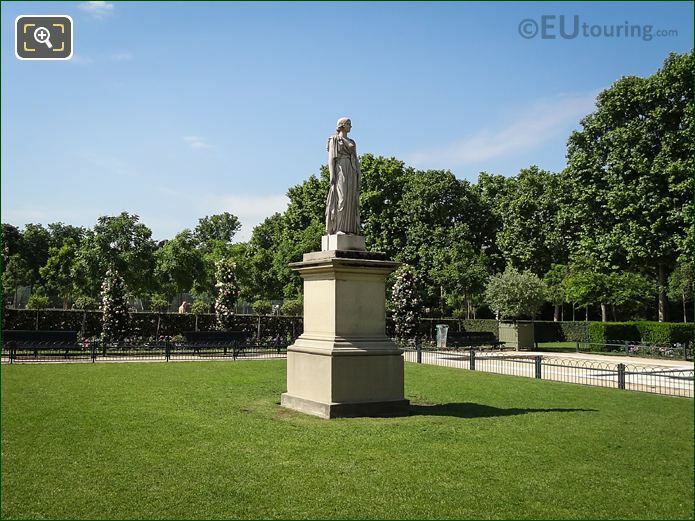 While we were within the Jardin du Luxembourg located in the 6th Arrondissement of Paris, we took these high definition photos showing a statue called La Messagere by Gabriel Forestier. 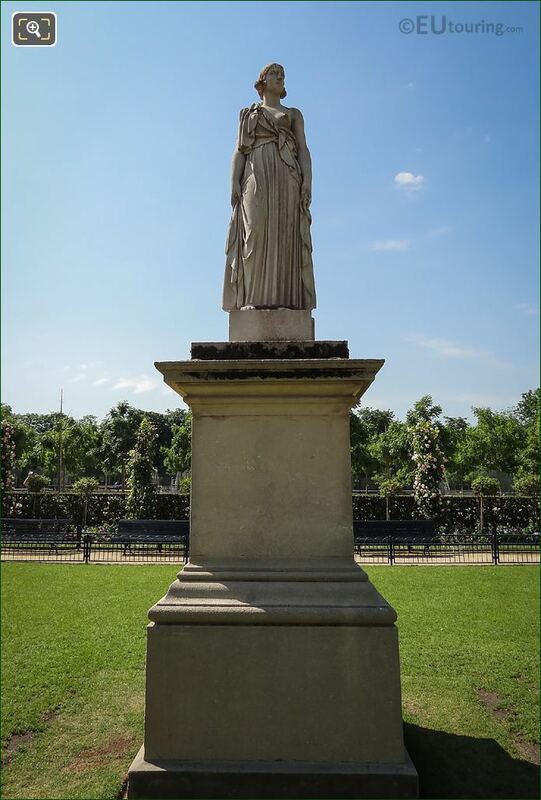 This first HD photo shows the stone statue called La Messagere, which in English translates to The Messenger, and this is classed as one of the masterpieces that was produced by the mainly self taught artist and sculptor Gabriel Forestier. 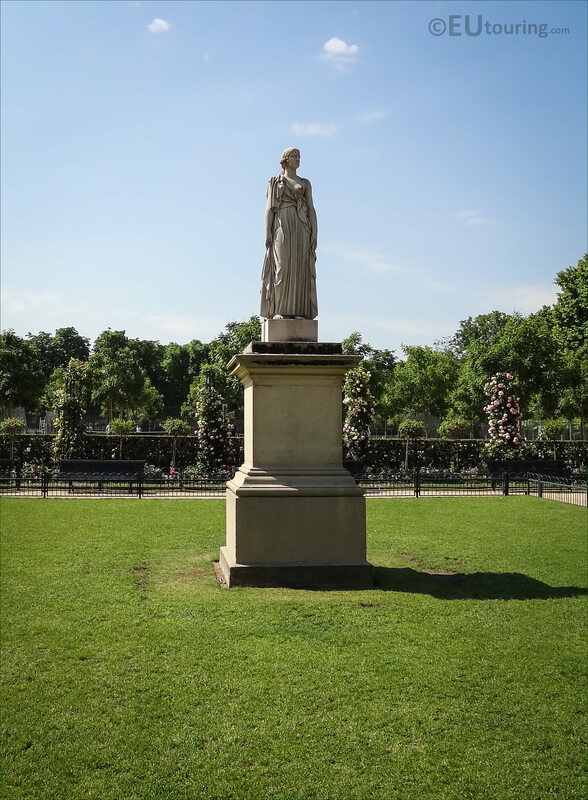 Now this photograph shows the back of the stone statue, which faces towards The Orangerie in the Jardin du Luxembourg, which came from the deposit of works that had been purchased by the French State. 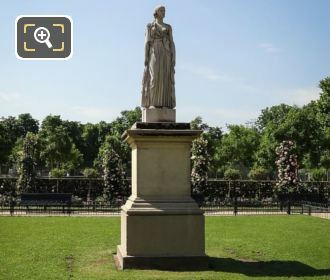 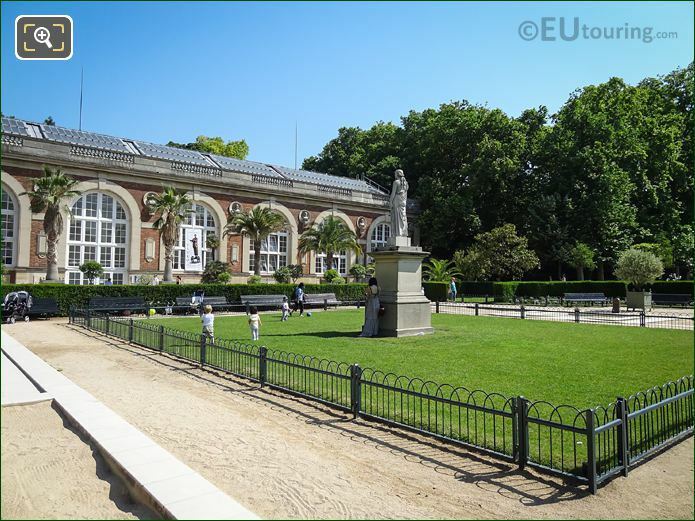 And here you can see that the statue is located right by The Orangerie within the Luxembourg Gardens, yet it is also positioned in the centre of the Rose Garden, and these are just some of the tourist attractions that are within this famous and historical public park in Paris that sees millions of visitors each year. 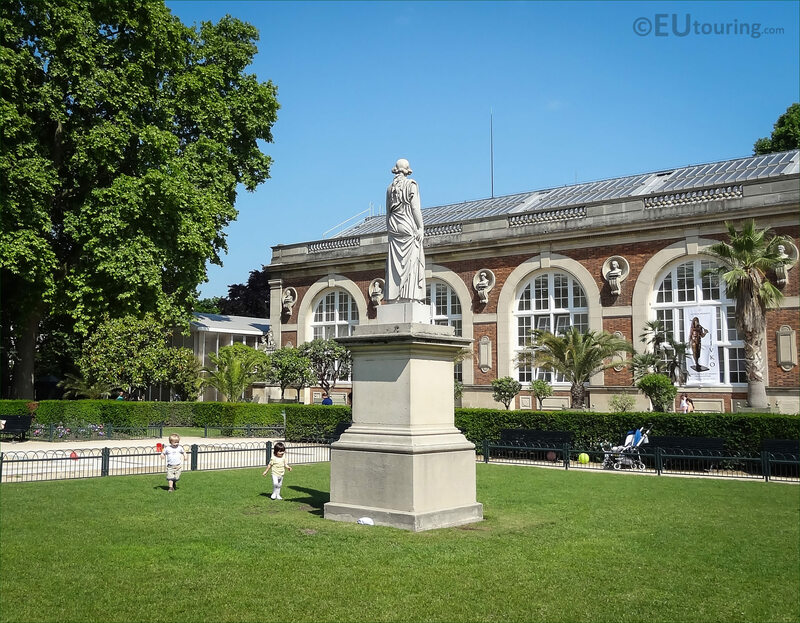 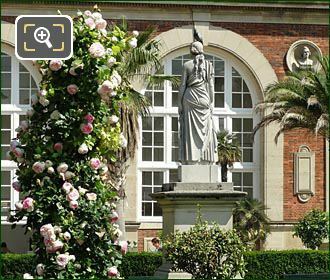 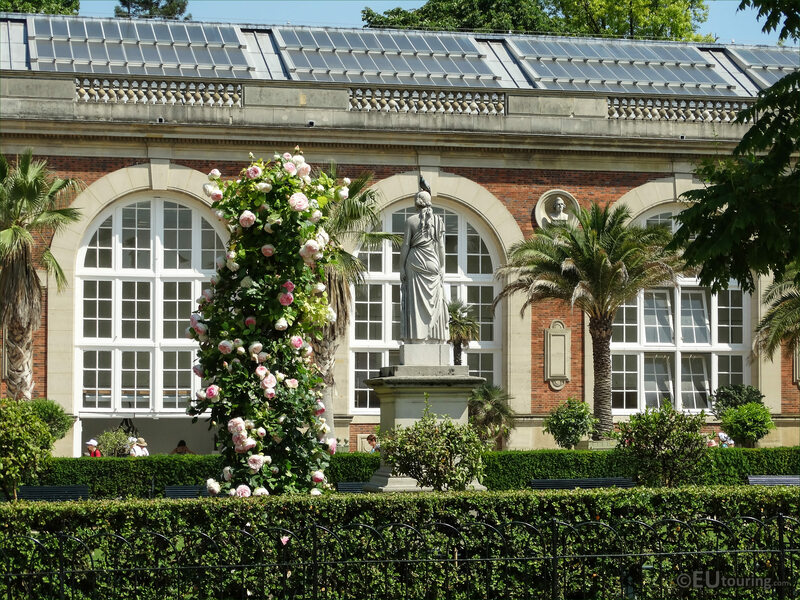 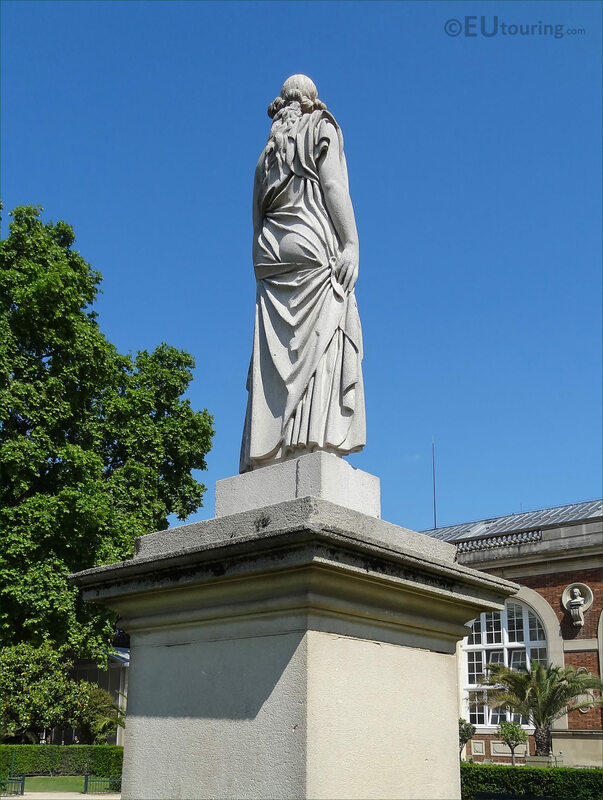 The statue itself is actually a height of 1.95 metres, so in this HD photograph, it provides you a good idea of how tall it is, with the large pedestal base, making it stand far higher than the bushes surrounding it, and this was installed within the gardens in 1950. 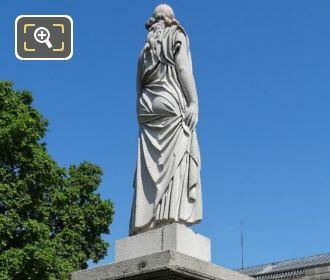 So here you can see a close up showing the back of the statue, with the fine details that went into producing this, which as we mentioned earlier was by Gabriel Forestier, who was born in the Dordogne in November 1889. Incredibly, being brought up on a farm, Gabriel Forestier taught himself how to paint, draw, and sculpt using basic tools like a hammer and chisel, and because the locals were so impressed with his artistic works, they got together and managed to obtain a scholarship for him to study at the Ecole des Beaux Arts in Bordeaux, and after this he went to Paris to work. 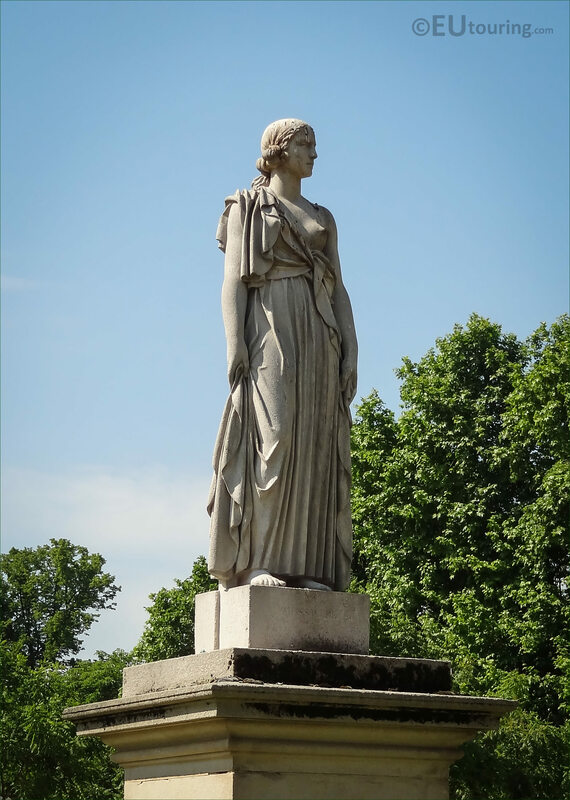 During his time in the city he was provided with numerous public commissions and won first at the 1937 Universal Exhibition in Paris and was awarded a Knight of the Legion of Honour, the following year producing the statue La Messagere, yet during World War II his sculpting ceased and Gabriel Forestier only resumed sculpting after the war had finished with different commissions for memorial statues. Gabriel Forestier passed away in Paris on 24th May 1969, yet left a legacy behind him, with works in private collections along with many held within French museums and public parks and gardens in France and abroad. 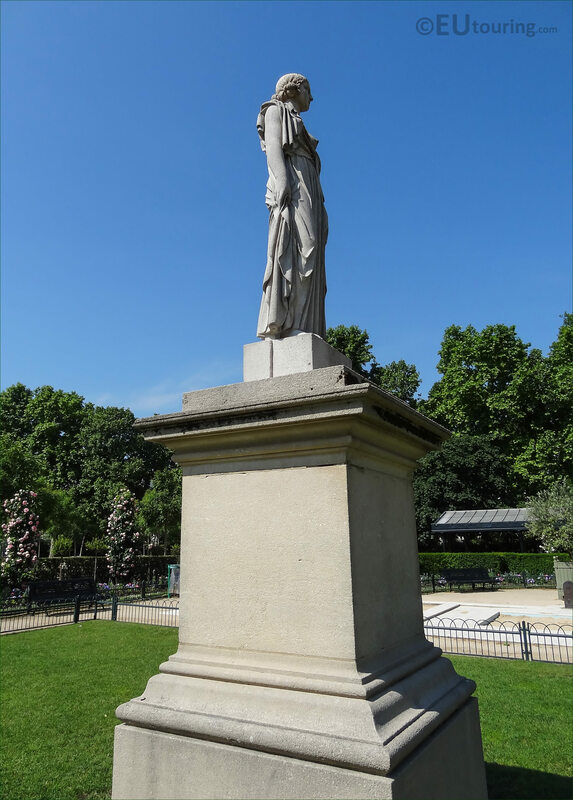 And so, it is fitting that The Messenger statue should be one of the statues by Forestier that adorns the Jardin du Luxembourg, which is a historical free public park in the capital city of France.